I’m probably dating myself a bit here, but if you’re a fan of old computers and the terminal apps that ran on them, you should definitely check out this new Mac App which emulates them. It’s unbelievably cool. Gizmodo has a video you can watch to see it, or you can download the App from the developer’s website and play with a free trial version. 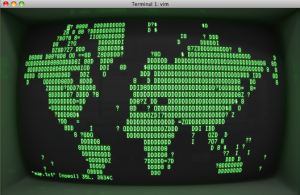 No Replies to "Geek Out: Cathode Terminal Mac App"